Secretary of State says Washington watching reports on Iran's plan to increase its uranium enrichment capacity. U.S. Secretary of State Mike Pompeo declared on Wednesday that Washington would not allow Iran to develop a nuclear weapon. His comments came after Iran’s nuclear chief, Ali Akbar Salehi, said that Iran would complete within a month the construction of a facility in its Natanz nuclear plant to build advanced centrifuges. “We’re watching reports that Iran plans to increase its enrichment capacity. We won’t allow Iran to develop a nuclear weapon. Iran is aware of our resolve. It’s another example of Iran foolishly squandering its resources. 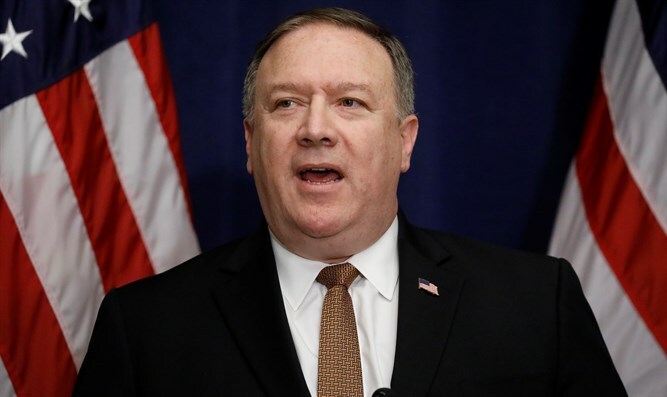 It should surprise no one if protests in Iran continue,” tweeted Pompeo. Salehi’s announcement came a day after he notified the International Atomic Energy Agency (IAEA) that the Iran Atomic Energy Organization is opening a center for producing new centrifuges for uranium enrichment at Natanz. Iran’s decision to accelerate its uranium enrichment follows U.S. President Donald Trump’s withdrawal last month from the 2015 nuclear deal between Iran and world powers. Nevertheless, on Monday, IAEA chief Yukiya Amano called on Iran to ensure "timely and proactive cooperation" with inspections mandated under the 2015 deal with world powers over its nuclear program.